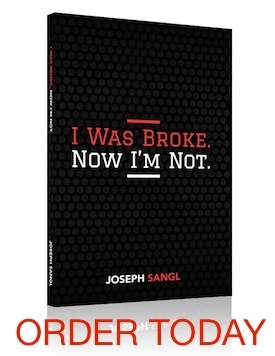 Welcome to the latest series here at JosephSangl.com – Greatest Thing I’ve Learned From â€¦ In this series, I am going to be sharing the greatest things I’ve learned from financial and leadership experts. I hope you enjoy the series and will join in the conversation to share your favorite learnings from these leaders! David Chilton is also a JosephSangl.com Financial Hero. I haven’t read this one…… But I’m about to! I love this series of posts. I REALLY liked this book because it was a learning STORY rather than TEXTBOOK learning. I read the whole thing rather than just skipping to the parts I wanted.